Over 25 sales are held annually by Magic Millions, including yearling sales, breeding stock sales and two-year-olds in training sales at the Gold Coast, Adelaide, Perth and Launceston. The flagship yearling sale held at the Gold Coast in January attracts both national and international buyers for the fun and excitement of the Carnival and the serious business of selecting a champion racehorse. This sale is now the highest grossing yearling auction in Australasia thanks to record growth over recent years. The National Broodmare, Weanling, Yearling & Racehorse Sale held during late May/early June has evolved into the southern hemisphere’s number one breeding stock sale, and a must attend event from breeders worldwide with bloodstock suitable for all levels of investment. Buyers from around the world attend Magic Millions feature sales knowingthe blo odstock on offer is as good as it gets when it comes to conformation, performance, pedigree and value for money. Australian horses have demonstrated their strength and ability on racetracks internationally including Great Britain, Japan,Hong Kong, Dubai, Singapore and the United States proving that they have the constitution and versatility to adapt to new surroundings and win against some of the best horses in the worlrd. The world’s leading sires are represented at the Magic Millions flagship sales by quality yearlings selected on their precocious good looks and impeccable pedigrees. Many of which will have dam side pedigrees representative of some of the best female families in England, Ireland, France or the United States. The outstanding racetrack success of these Magic Millions Sale horses is attributable to the strict entry criteria of our select sales. This Australian success is mirrored internationally as our graduates continue to regularly perform with excellence on racetracks in the major markets of Hong Kong, Singapore and South Africa. The world’s current champion on turf is Winx, a graduate of the Gold Coast Yearling Sale. Complementing the Magic Millions Yearling Sale Series, the Magic Millions Race Series is the perfect exponent of the company’s philosophy of innovation, participation and fun at the racetrack – win, loseor dead-heat.Offering $11.29 million in prizemoney annually, it is the world’s richest sales based incentive Race Series that has evolved from a ground-breaking concept to global brand. Nomination is exclusive to horses offered at Magic Millions Yearling Sales around Australia. The series is truly national with races programmed across six states of Australia, giving every yearling buyer the opportunity to nominate and be in the race for impressive prizemoney and a memorable day at the track. 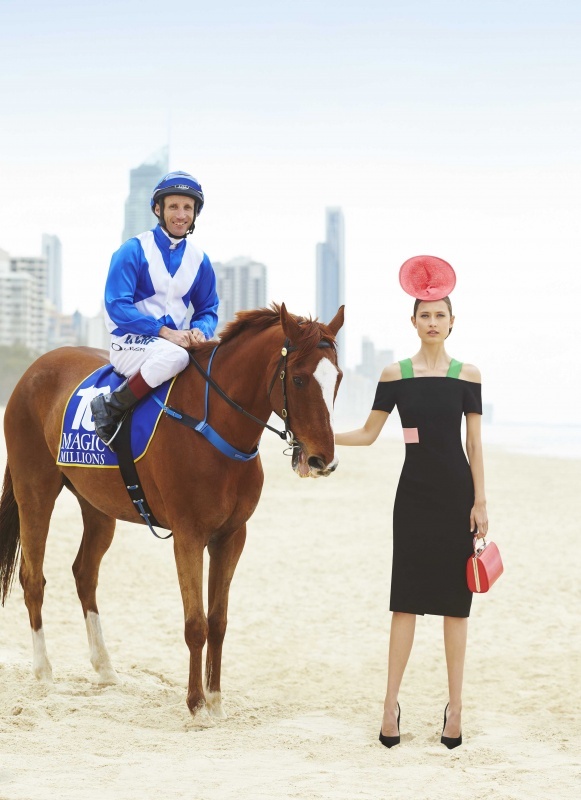 The Magic Millions Race Series now features one of the world’s richest racedays, with the Gold Coast Raceday offering $10 million in prizemoney over nine races each January. And there is not just prizemoney to be won. With six races in the series recognised with Restricted Listed black type, a win could add weight to your bank balance and your horse’s pedigree page. 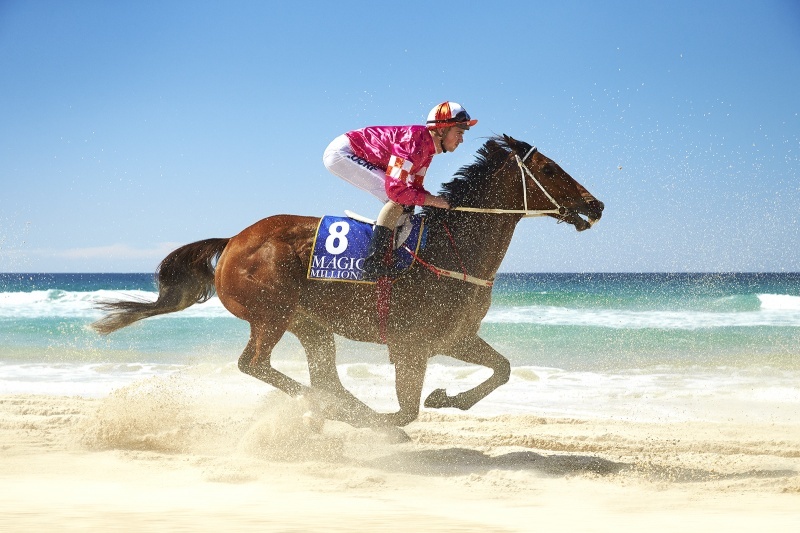 Magic Millions is Australia’s number one source of Champions and high class performers on the racetrack. With more than 6,000 wins by our sale graduates around the globe each racing season, we are proud to be Australia’s premier sales source for Group One wins.